It’s that time of the month again were all of the wonderful subscription boxes are released (the best time of the month)! 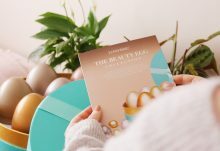 I’m bringing you a little sneak peek of the July LookFantastic box today and let’s just say that it’s not only gorgeous but perfect for summer! 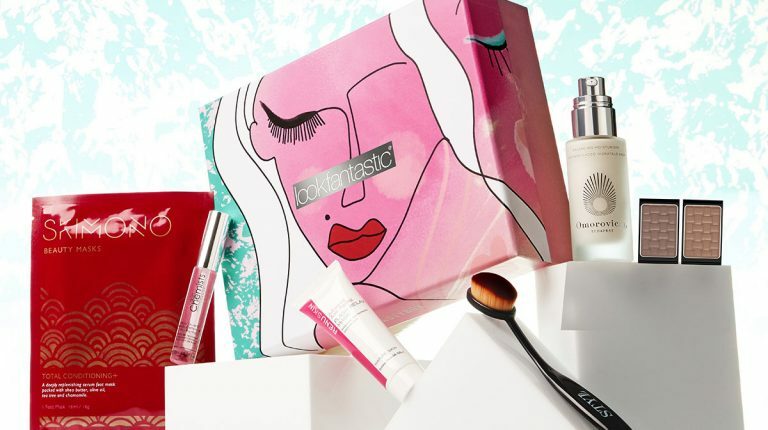 I have loved all of the LookFantastic boxes I’ve received so far but I think this one in terms of the theme, range of products and the box design is one of my favourites so far. 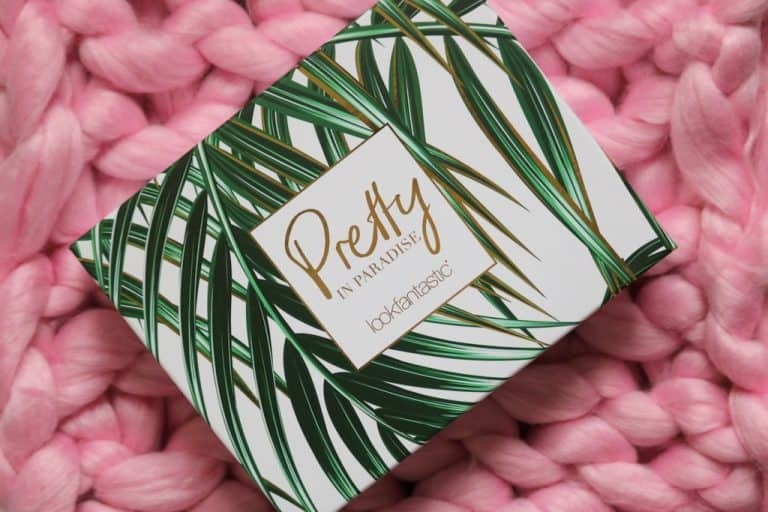 The theme for the July box is ‘pretty in paradise’ which is just perfect with summer around the corner. The range of products in this box is fantastic and I know I’ll be taking some of them on holiday with me this summer! I also adore the box design, it’s so pretty and I’ll definitely be re-using it. 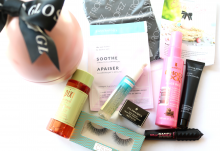 There are seven beauty items in the box, all of which are great sizes for travelling. The box contains: Moroccan Oil Hydrating Styling Cream, Mimitika Sun Cream, Hot Makeup Bronzer, Regenerate Toothpaste, Cowshed Chamomile Toner, Jelly Pong Pong Highlighting Pencil and the Imedeen Collagen and Vitamin C Drink. 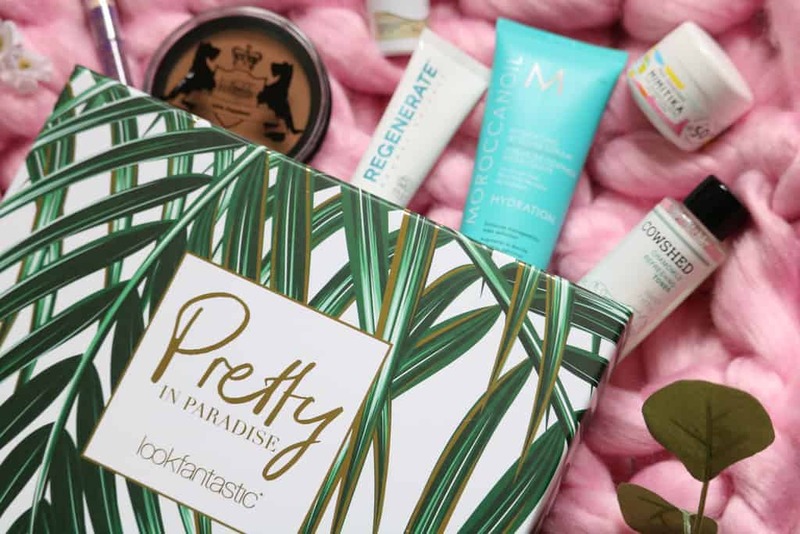 It definitely looks like a fantastic box for July with such a wide range of products, from makeup and SPF to toothpaste, skincare and even a ‘beauty’ drink!There will be a full review of all of the items in the July box coming very soon so stay tuned!